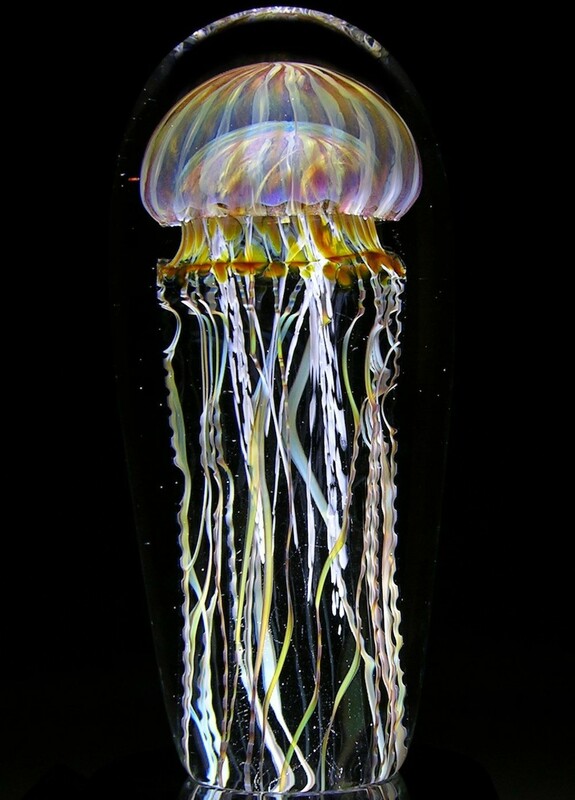 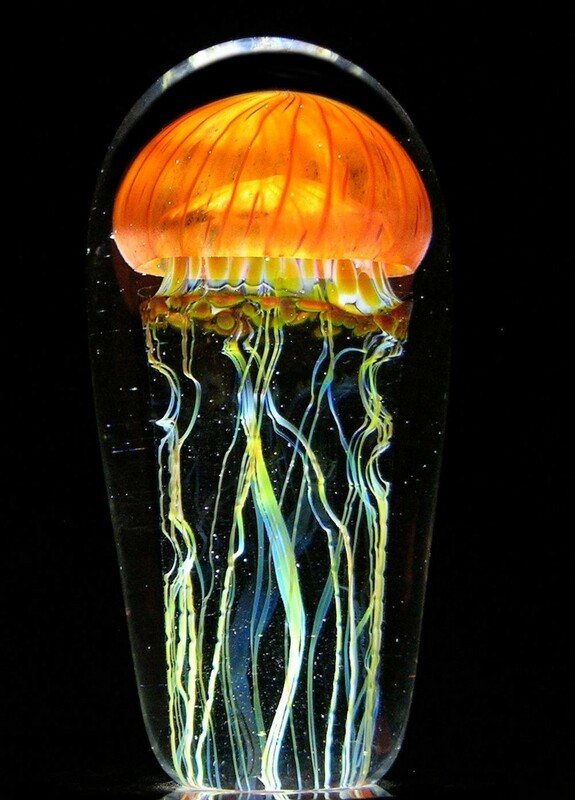 Artist Rick Satava of Chico, California is a master glassblower, known for his remarkable glass blown Jellyfish. 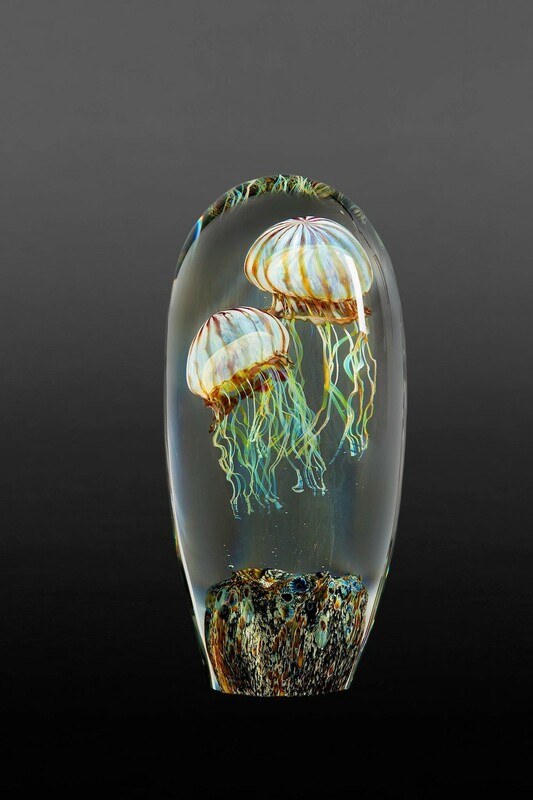 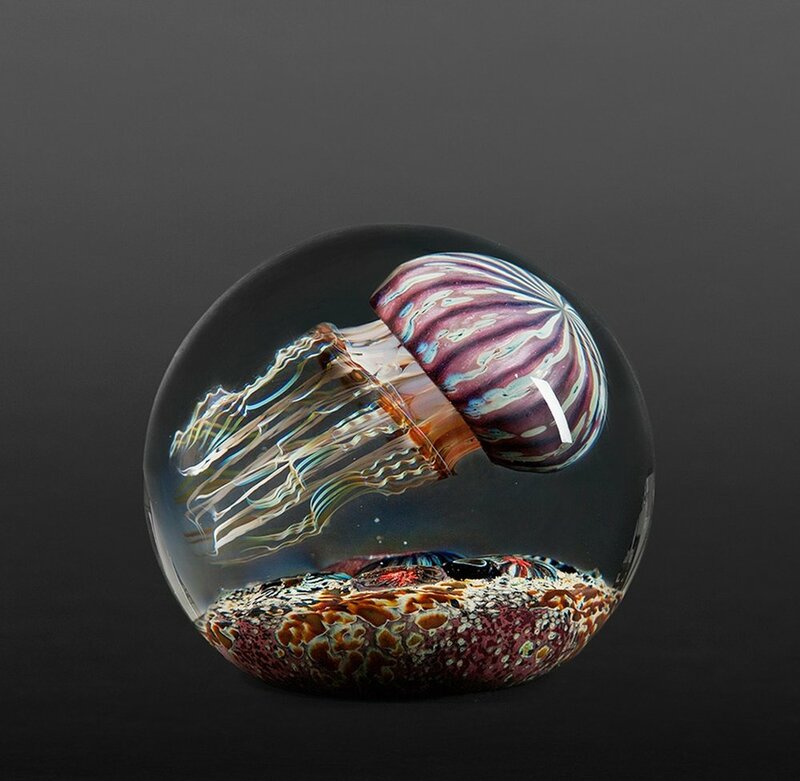 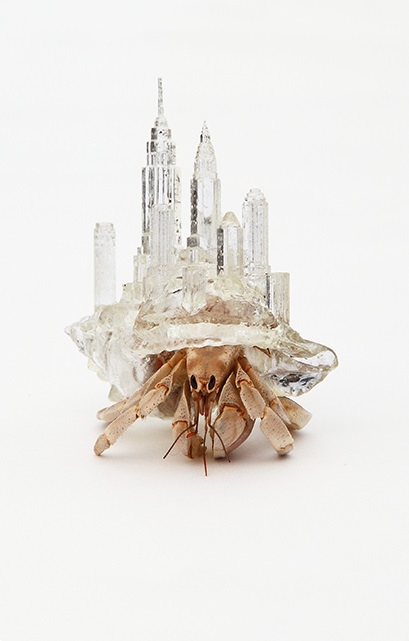 His sculptural craftsmanship is so impeccable, creating almost as good as real jellyfish preserved in glass. 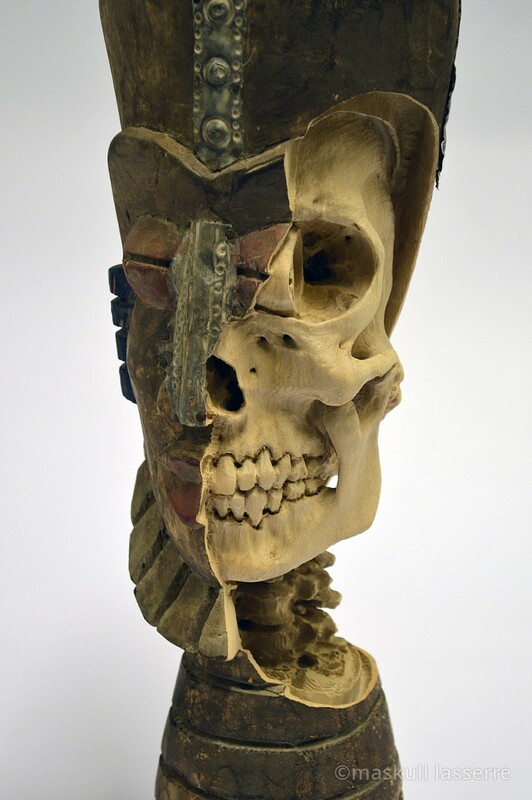 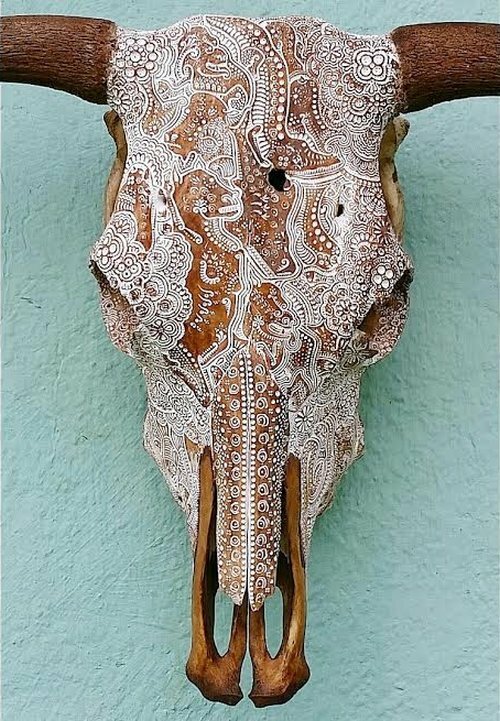 Please scroll down and take a look at the featured pieces below. 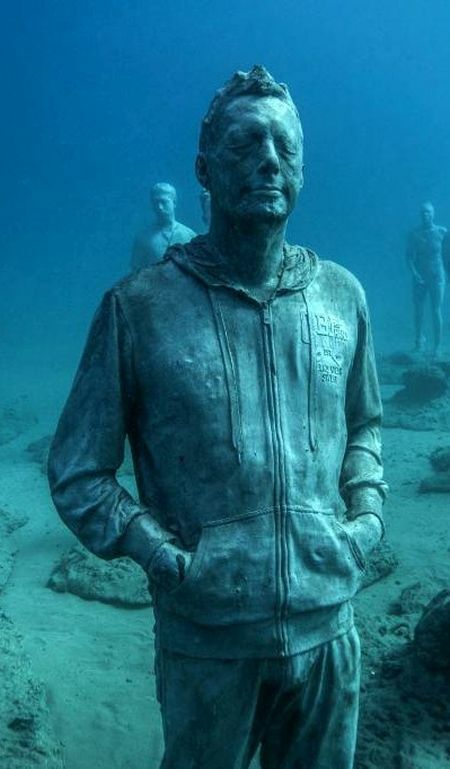 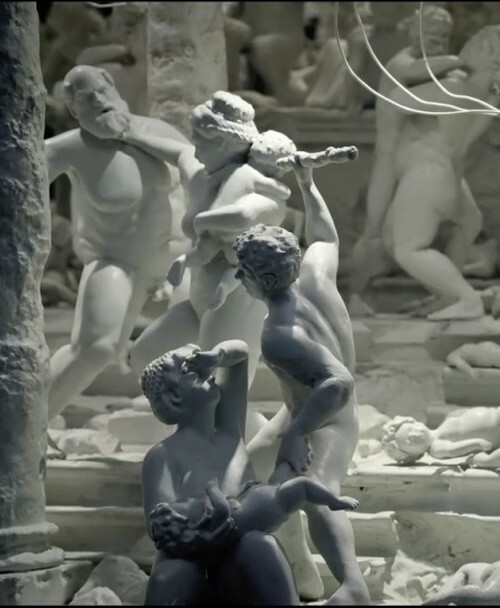 You will definitely be amazed, and wonder… Are these real?! 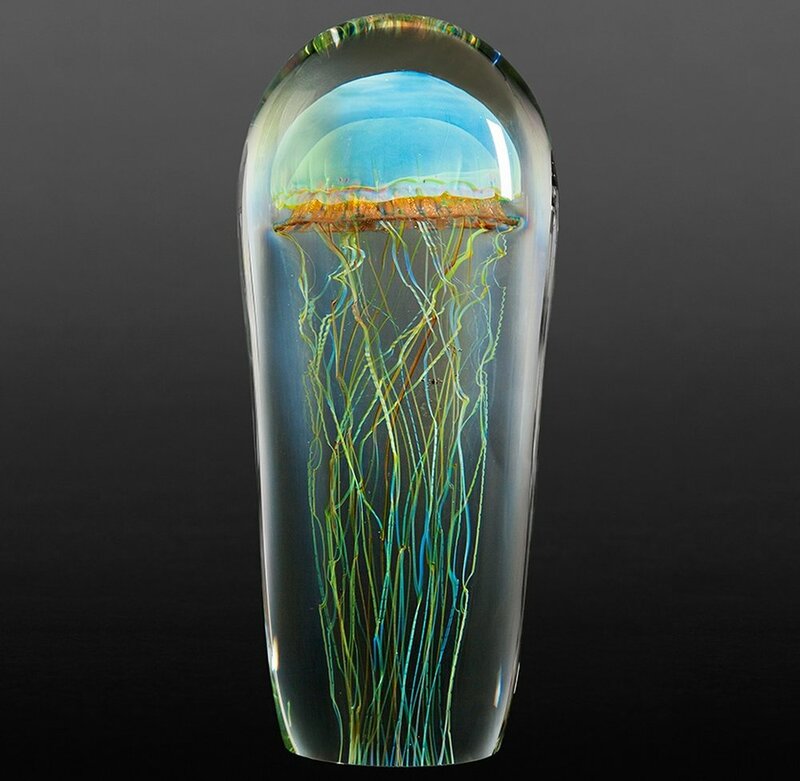 Enjoy this incredible work of art — naturally beautiful and realistic looking Jellyfish! 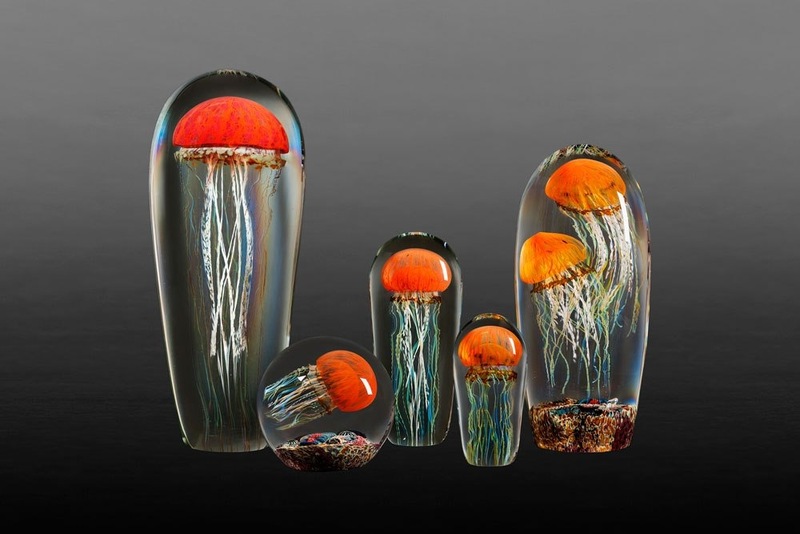 Satava Art Glass produces an array of stunning hand-blown and solid forms in glass. 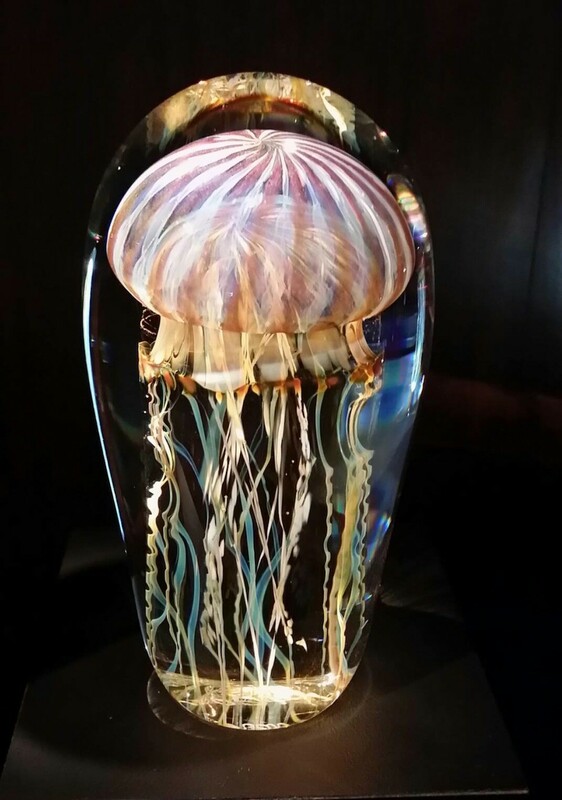 Our work is well known and appreciated throughout the world. 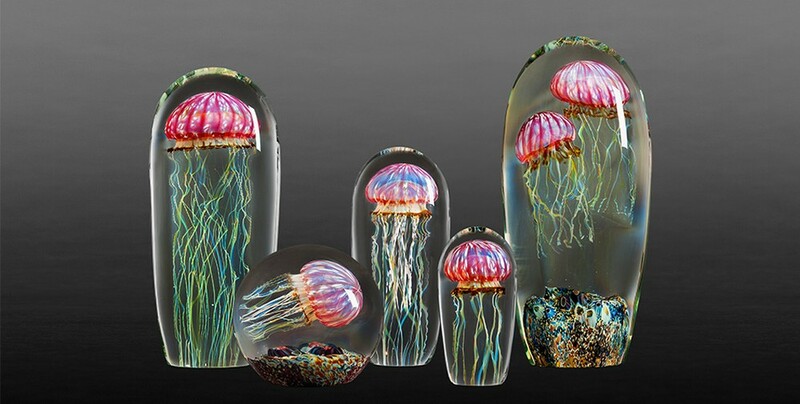 Our amazing Jellyfish in glass have worked their way into many people’s hearts and homes. 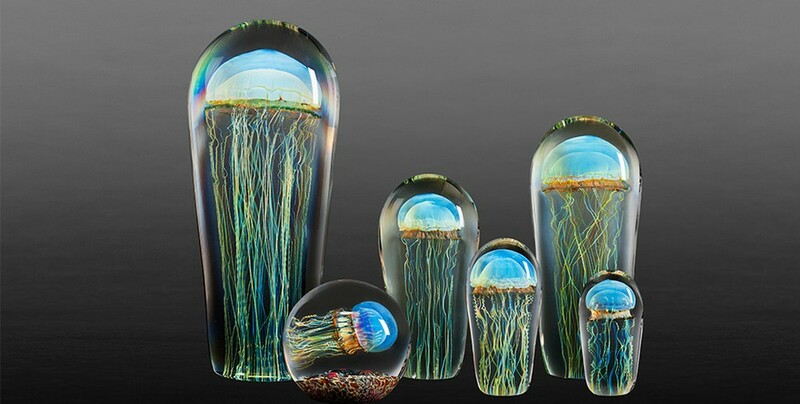 Satava hand-blown vases, depicting beautiful natural landscapes, have made many a person melt. 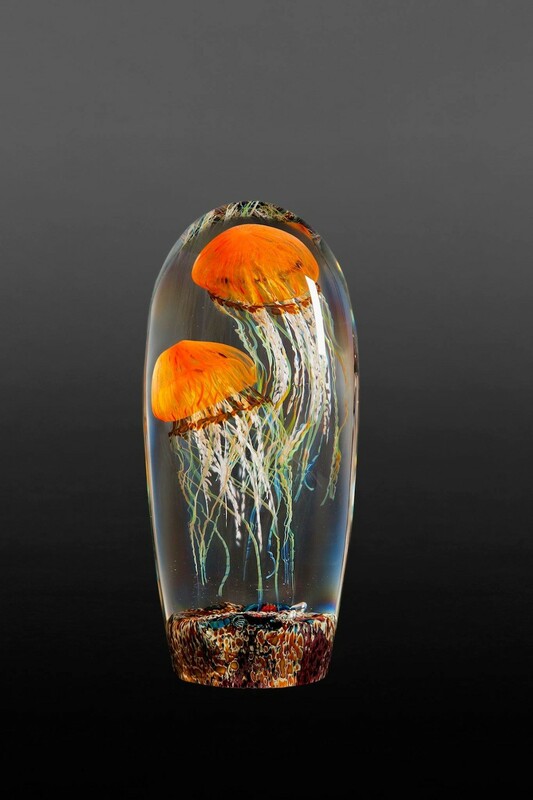 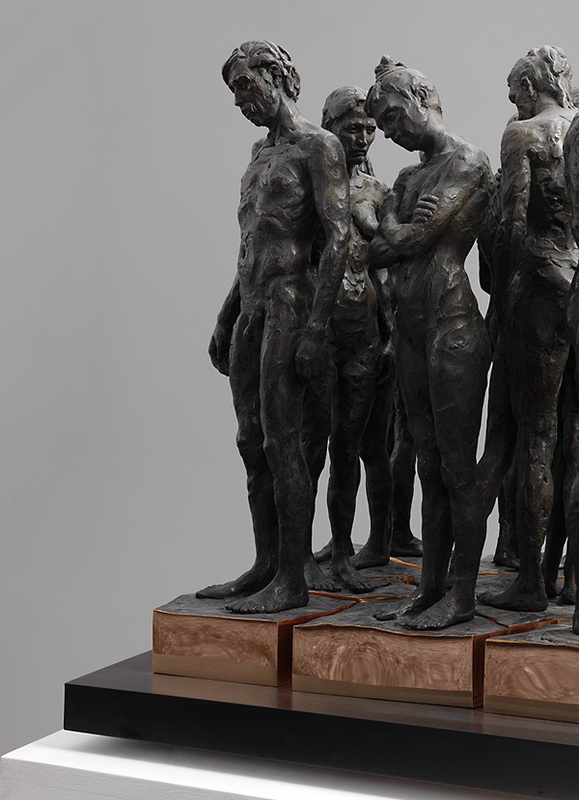 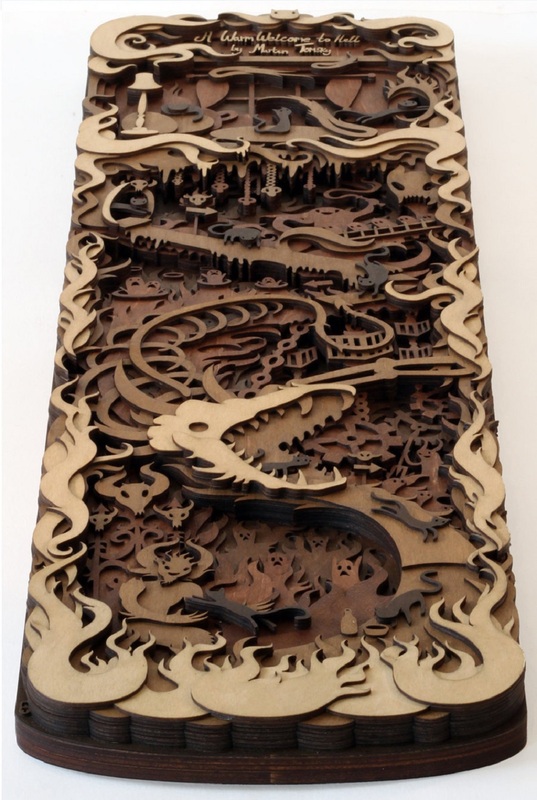 Here you will find out more about Richard Satava, learn more about our studio and gallery and find our online purchasing galleries. 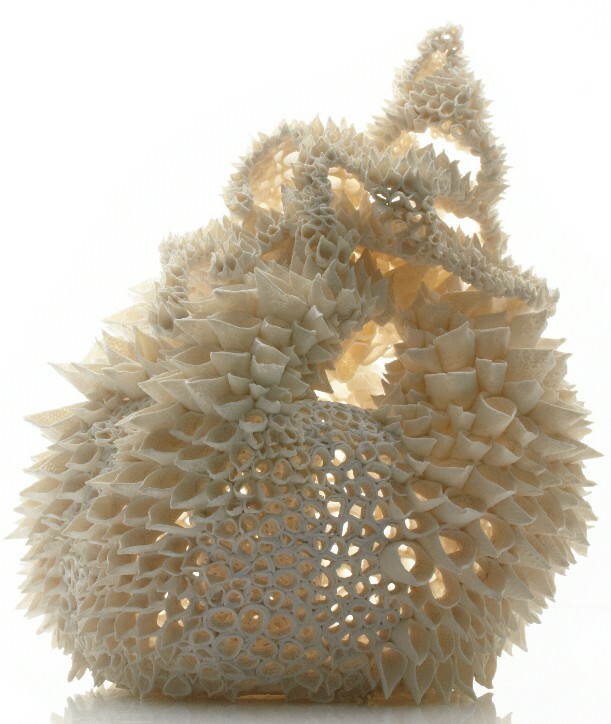 All images courtesy of Rick Satava, and are published with permission.